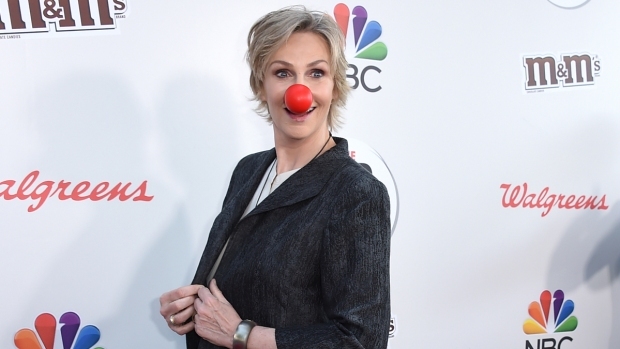 Julia Roberts, Jack Black, Orlando Bloom, Ben Affleck, Paul Rudd and DJ Khaled are donning clown noses to help kids as part of TV's "Red Nose Day Special ." Rudd will make a trip to a rural area of Maine hit hard by the recession and Roberts will spotlight the challenges faced by children around the globe for the fundraising campaign, whose aim is to alleviate child poverty. During his trip to Maine, Rudd will explain why donations are urgently needed, and how Red Nose Day funds help children remain safe and healthy. Roberts travels to an overcrowded hospital in Nairobi, Kenya where serious illnesses abound — illnesses that could be prevented with vaccines as inexpensive as five dollars. NBC will celebrate Red Nose Day with a three-hour special on May 25 including "Celebrity Ninja Warrior for Red Nose Day," and episode of "Running Wild With Bear Grylls for Red Nose Day" featuring Roberts, and "The Red Nose Day Special." A star-studded cast is expected to turn out for the event, including Ben Affleck, Bloom, DJ Khaled and Yvette Nicole Brown, among other. "This Is Us" cast members Milo Ventimiglia, Mandy Moore, Sterling K. Brown, Chrissy Metz, Justin Hartley, Chris Sullivan, Susan Kelechi Watson and Ron Cephas Jones will also make an appearance.